Desi Smith /Gloucester Daily Times. 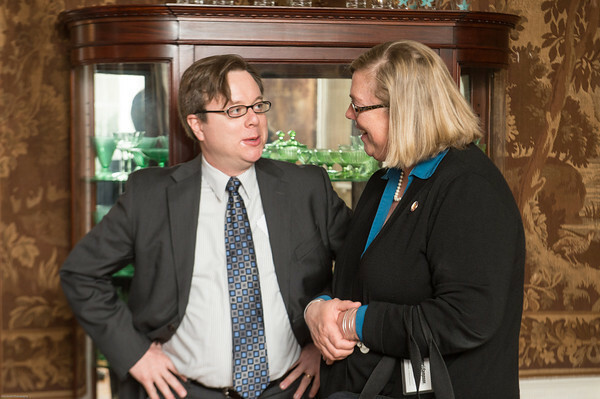 Mayor Carolyn Kirk talks to Brad Stilwell with the US Embassy in Reykjavik Saturday afternoon at a reception hosted by US Embassy in Iceland at the Innovation House on Norman Ave in Magnolia. March 15,2014.